Your guitar should have the best! 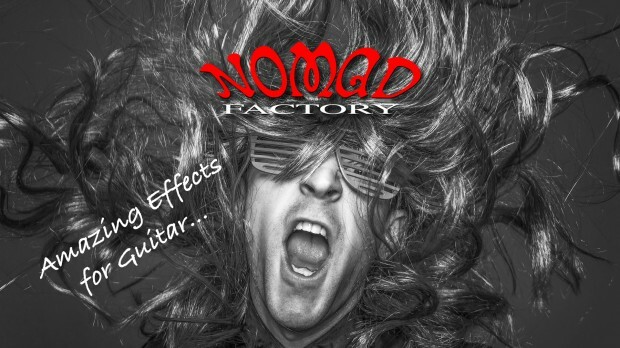 The Nomad Factory’s vintage analog guitar effect plug-ins will add a silky smooth gloss with tons of warm overtones to any guitar track. Save up to 70% on them right now during ‘Guitar Month’. Nomad Factory’s plug-ins are glorious sounding analog emulations of the the classic hardware that is still being sought-after. These guitar effects plug-ins are a result of years of experience with the real equipement and faithfully recreate a sound that remains the highest standard in recording excellence. This entry was posted in DontCrack, Plug-ins, Promotions and tagged 80’s SPACES, analog emulations, Blue Tubes FX Pack, Blue Tubes Oilcan Echo TLE2S, Blue Tubes Tempo Delay 3D, Echoes, Guitar Month, Nomad Factory. Bookmark the permalink.